Howard Finkelstein, the public defender of Broward County, Florida, filed a motion on Tuesday asking a judge to conduct an "indigency determination" on the 19-year-old suspect after reports surfaced that he could stand to inherit $800,000 from his parents. "It could result in us being removed from the case," Finkelstein told ABC News in a telephone interview this morning. "The question here is, are there enough resources to pay for a lawyer?" Cruz's 68-year-old adoptive mother, Lynda Cruz, died unexpectedly on Nov. 1 after contracting pneumonia, according to documents filed in the Broward County Probate Court and obtained by ABC News. His adoptive father, Roger Cruz, died in August 2004 at the age of 67, according to court records. 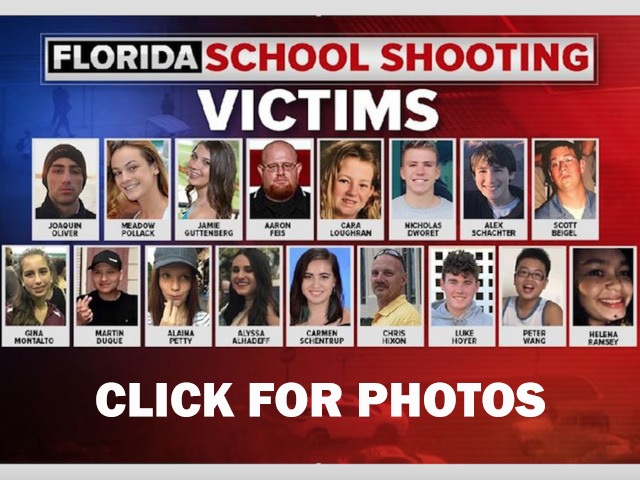 But according to the court motion filed by Finkelstein's office, Lynda Cruz's attorney, William Bromley, petitioned the probate court on Dec. 14, 2016 -- before her death -- "to reopen and continue the administration of an estate wherein Nikolas Cruz may be a beneficiary." The estate in question was that of Nikolas Cruz's father and Lynda Cruz was seeking to transfer the family's home into her name to sell it, according to court documents obtained by ABC News. "[Lynda Cruz] is actively pursuing loss mitigation in regards to the ... property, and has a contract in place to short sell the property," the petition states. Property records show she sold the home a month later for $575,000. Following his mother's death last November, Nikolas Cruz and his younger brother, then 17, went to live with a family friend, identified in court records as Rocxanne Deschamps. The Sneads claimed that Nikolas Cruz told them he stood to inherit in a few years at least $800,000 from his deceased parents' estates, the couple's attorney, Jim Lewis, told ABC News. In documents filed in probate court the day after the mass shooting, Deschamps' attorney, Audra Simovitch, petitioned to have Deschamps appointed a personal representative of Lynda Cruz's estate, claiming an interest in the estate "as a family friend ... who is caring for a 50% minor beneficiary," meaning Cruz's younger brother. Simovitch declined to comment on the probate motion, but confirmed to ABC News that she was retained by Deschamps prior to the high school shooting to assert Deschamps' interest in the estate on behalf of Lynda Cruz's younger son. Bromley did not return calls from ABC News seeking comment. The public defender, Finkelstein, told ABC News his office has never had a case in which it has had to go to probate court to explore the financial background of a client. "We are never involved in probate matters," Finkelstein said. "In the public defender's office, nobody has ever come up to me and said, 'Hey Howard, our client may be worth $800,000.'" Finkelstein has previously said he is willing to have Cruz plead guilty in the mass shooting if prosecutors agree not to pursue the death penalty in the multiple murder case. But Broward County state attorney Michael Satz issued a statement in response to the public defender's remarks, saying: "This is certainly the type of case the death penalty was designed for." "It will be up to the court," Finkelstein said of whether his office will continue to represent Cruz, depending on the outcome of the probate court issue. "The court will determine if he has resources to afford an attorney."